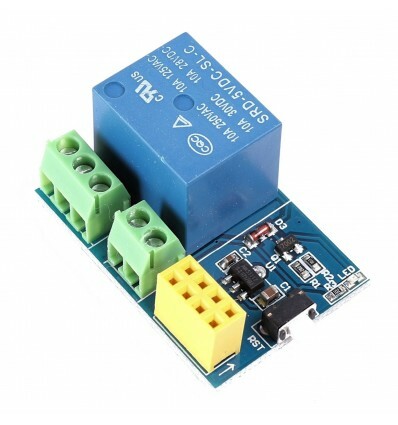 This little ESP8266-01S Relay Expansion Module is a simple and easy-to-use expansion board that utilises the ESP8266-01 breakout board to drive a relay and operate devices or machines wirelessly. 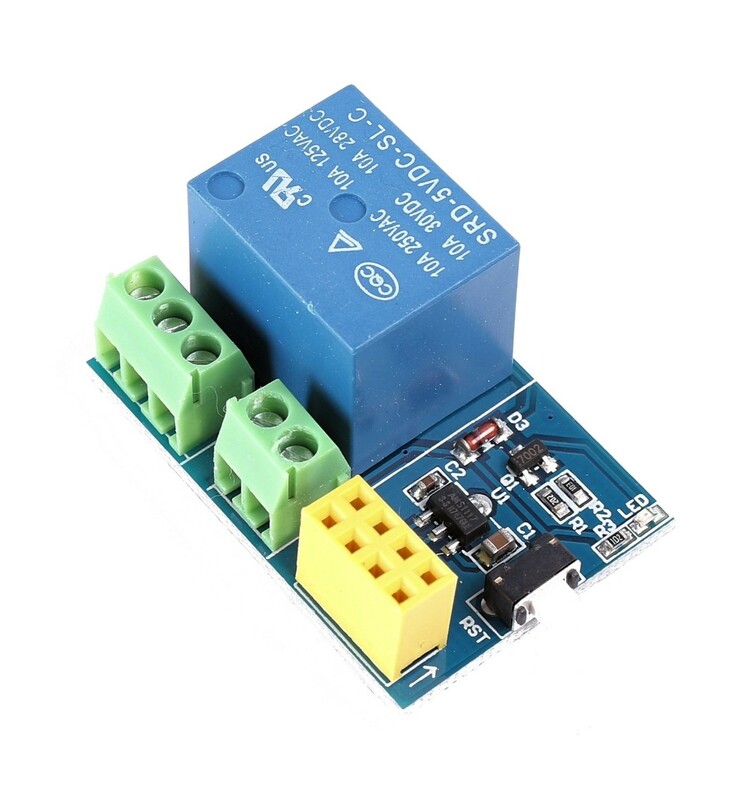 It is based on the AI-Thinker ESP-01S WiFi module to control any device that operates on 10A 250V AC or 10A 30V DC or lower, so that you can use your computer or smartphone to turn your kettle on, set the oven to preheat or even turn the lights on and off from any location where internet access is possible. While this module does not come with the ESP8266 board included, these boards are inexpensive to purchase separately and can also be replaced with ease. 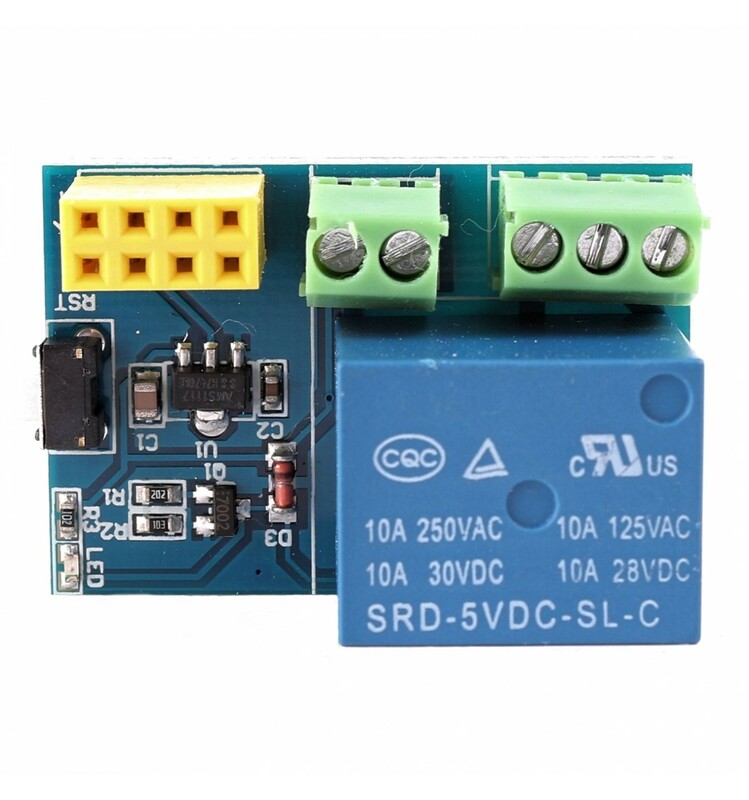 So all you need to do to get your ESP8266-01S Relay Expansion Module ready to use is connect up an ESP8266-01 Board and download the corresponding application or program on whatever device you want to control it from. Please Note: This module does not include the ESP8266-01 module. 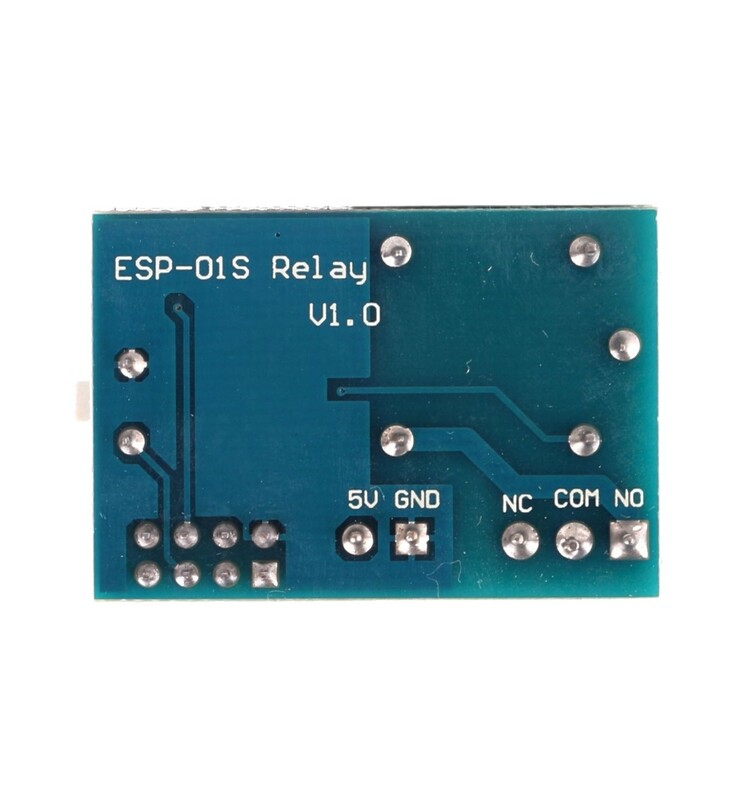 The ESP8266-01S Relay Expansion Module is mostly used for IoT Functionality, as it can connect up to a router and control a device or machine and offer control from almost anywhere in the world. It can also be used to connect devices together so that multiple devices or machines act in unison. So, for example, you can set up your home in such a way that the kettle turns on every time your garage door is opened. This is just one example from thousands of different possibilities, however, so don’t be scared to invest in one of these modules and begin experimenting with making your home truly customised and tailored to your unique daily needs.